Arleta, California is a very diverse community located in the San Fernando Valley region of Los Angeles. The diversity of the population is largely supported by HOA and multiple-family housing developments. While much if the city is newly renovated, there are large sections containing older buildings. The community cherishes the culture and history of the area but it is still important to maintain these older buildings. 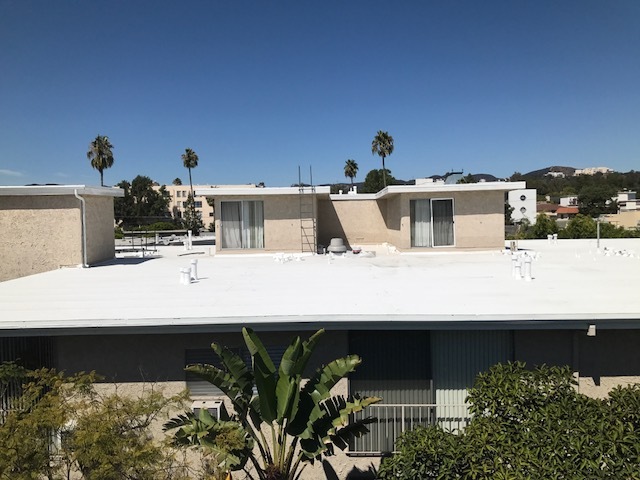 The climate of Southern California can vary, so it is necessary to update roofing so all buildings withstand whatever weather changes may come. Unlike the general residential roofing needs, there’s more to consider when choosing multifamily roofing needs. There’re numerous aspects to factor when choosing a roofing contractor for your multifamily roofing needs in Arleta, California. A professional roofer will be fully accredited and has all relevant documents supporting their training, and licensing, showing they have been certified according to industry standards. Choosing to work with a roofer that is not licensed means you risk getting substandard work that can put your homeowners and reputation at risk. You also want to make sure the roofer is fully licensed to protect yourself from any liability should damage or injury occur on the job. The term professionalism might is not really measurable so can be subjective. How they treat their clients, and the quality of the services they provide, is one way to determine a level of professionalism. You can obtain information by making inquiries from clients who have used their services before or reading reviews from past clients. This can provide you with a firsthand experience of what to expect from the roofer you are interested in hiring. There is more to roofing than just installation and repair. A good company will also want to build a relationship with you and will offer an array of services. Apart from maintenance, free consultation or insurance, you want to pick a roofing company that provides value for money. After all, your roof is an investment, and the best companies will value this and a relationship with you.